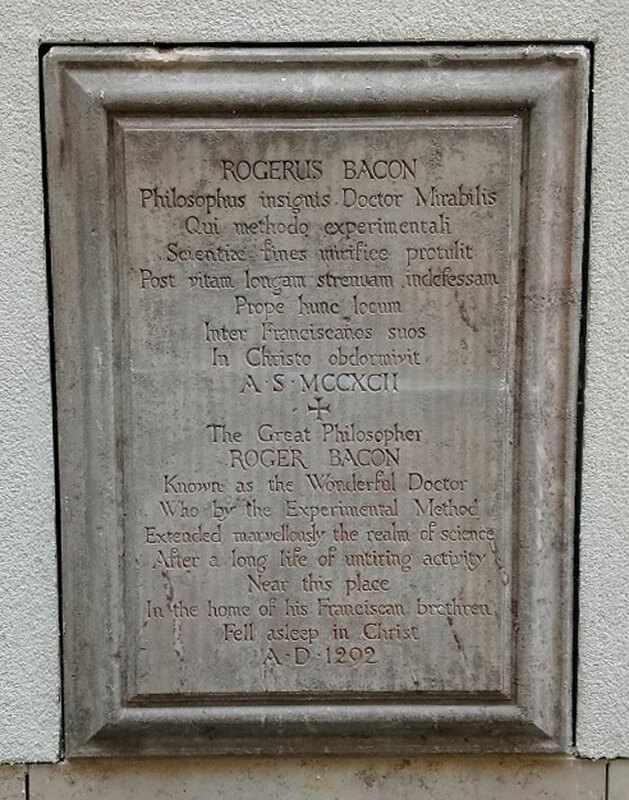 The above plaque to Roger Bacon, with an inscription in Latin followed by an English translation, was originally on the outside wall of the Westgate Centre, on the north side of Old Greyfriars Street. 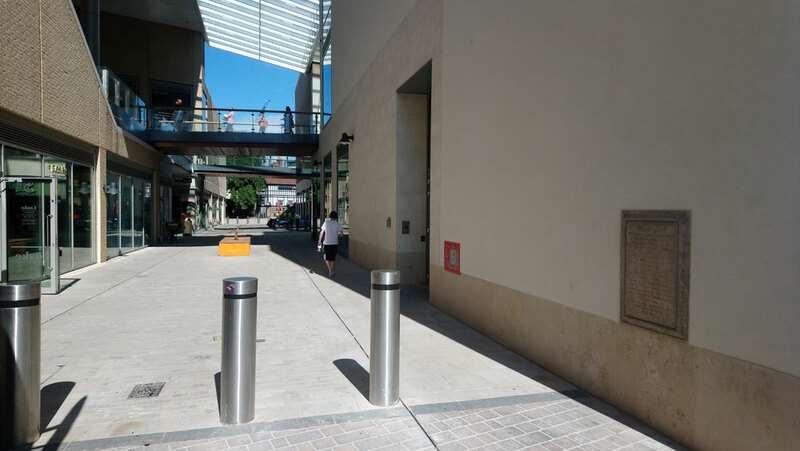 It has been moved to the new Westgate Centre which opened on 24 October 2017. It is near the newly formed Old Greyfriars Place, which faces Turn Again Lane. It can be seen on the right of the photograph below.